Creative edibles that are all the rave this holiday season. Find step-by-step guides to make party entertaining easier this year. 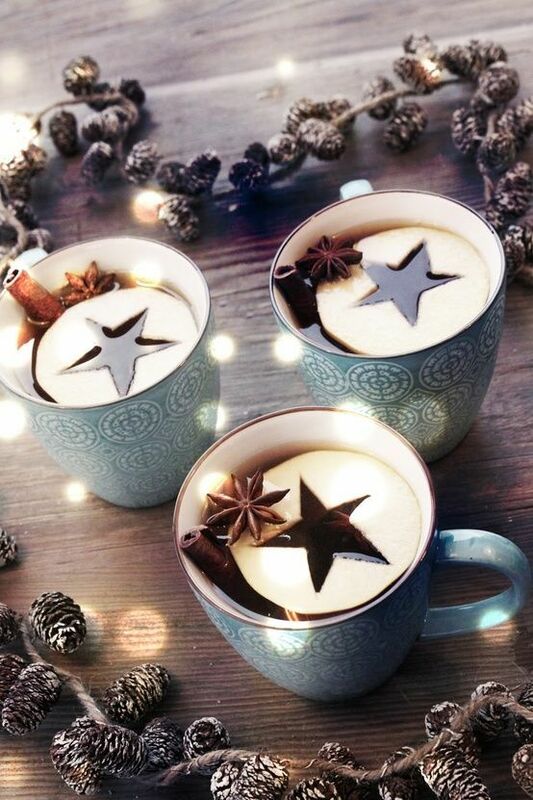 Mulled Cider with Apple Stars – Make hot apple cider then peel an apple and thinly slice it. Using a Star Cookie Cutter Set , apply pressure to apple slice. Add to hot cider as a decorative and festive display with cinnamon sticks. Hot Chocolate Spoons – Fancy edible addition to drinks that will make entertaining unforgettable. Hot chocolate spoons are all the rave this holiday season! 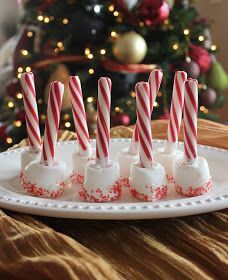 Marshmallow Candy Cane Stir Sticks – Add these to hot cocoa drinks by adding flavor with these adorable and creative holiday dippers. Find the recipe here. Use Mini Candy Canes and hang the dippers on the rim of your drink.